Welcome to the 2019 legislative session! Whether you view this time of year as exciting or approach it with trepidation (what is the legislature going to do this year?!?) it’s helpful to have an idea of what may be coming. 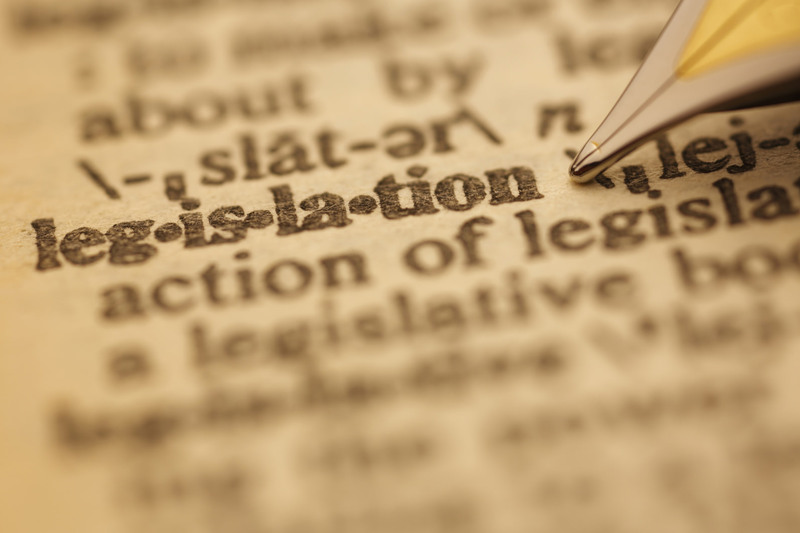 As of writing, legislative sessions have begun in 43 states and the National Conference of State Legislatures (NCSL) is tracking several hundred election bills. As much as we would like a crystal ball sometimes, it’s impossible to predict what legislation will be introduced and what will pass. But, we know that legislation is sometimes reactive so we will probably see a lot of bills introduced in response to headlines stemming from the 2018 election. These may fall lower in the list of priorities as time goes on and the headlines fade in people’s memories. Then there’s the age-old cliché of legislation being like sausage-making (by the way – see this article for legislators meeting for actual sausage-making prior to session); so much of what we see introduced at the beginning of the year will be substantially different before sessions draw to a close. Going into 2019, there is the additional dynamic of one-party control of both chambers in all but one state legislature (Minnesota). A total of 36 states have a “trifecta” where one party controls both chambers in the legislature as well as the governorship. Whether this will translate into more bills being enacted remains to be seen. What can we expect? If history is a guide, then something over 2,000 election-related bills will be introduced in the 50 states this year. Of those, perhaps 10 percent will be enacted. Those odds are disappointing for those who are looking for change, or potentially a relief, for those who prefer a steady state. With those caveats aside, here are the topics of interest in election legislation so far in 2019. Voting by mail ballot will be a big topic in 2019, both from the perspective of expansion in some states and from the security angle—how do states verify the ballot came from the intended voter and was not tampered with in the process? Three states mail ballots to all eligible voters (Colorado, Oregon and Washington) and Utah and California and are in the process of moving in that direction. Illinois (SB 195, HB 257), Nebraska (LB 163), New Jersey (AB 1797), New York (AB 778), South Carolina (HB 3179), Virginia (HB 1658) and Wyoming (HB 36) all have bills to establish all-mail elections in those states. More will have the opportunity, if new legislation passes. Last year Michigan voters approved a ballot measure that included (amongst other things) no-excuse absentee voting, leaving just twelve states that do not have pre-election day voting options for all voters (either early voting or no-excuse absentee voting or both). In a particularly fast-moving “suite” of bills this week both chambers of the New York legislature passed a bill to establish early voting (SB 1102). Another bill (SB 1049) proposing a constitutional amendment to eliminate excuses for absentee voting also passed, though in New York proposed constitutional amendments have to pass the legislature twice and then be put to voters, so this change won’t be implemented for a while yet. Many of the states that don’t currently offer pre-election day options are considering them this year. In Connecticut (HJR 10), Indiana (SB 86, SB 261), Missouri (HB 209, HB 368, HJR 5), New Hampshire (CACR 6), Pennsylvania (SB 33), Texas (HB 325, SB 164), and Virginia (HB 1641, HB 1794, HB 1959, SB 114, SB 602, SB 1035, SB 1672) bills have been introduced to remove excuses for voting absentee. And early voting is being considered in Connecticut (SB 23), Kentucky (SB 63), Missouri (HJR 5), Mississippi (SB 2026), South Carolina (HB 3040, HB 3266, SB 142) and Virginia (SB 1075). Another area of focus, though, will be on how to prevent a situation like the one in North Carolina in 2018 where absentee voters entrusted their ballots to individuals who may have tampered with their votes along the way. So, the return of absentee ballots on behalf of other voters is on the minds of legislators. Sometimes known as ballot collecting or ballot harvesting, this practice was banned entirely in Montana last year via a legislative referendum. There’s a fine line that legislators have to navigate between permitting this practice, especially for populations that have difficulty returning absentee ballots via other means, and regulating it to address a situation like the one in North Carolina. What has been introduced on this topic so far? A bill in California (AB 17) would prohibit an employer from asking an employee to bring his or her mail ballot to work or from voting it at work. A bill in South Carolina (SB 331) would prohibit a person from knowingly collecting voted or unvoted absentee ballots. Both come with penalties. Legislators may also be looking at requiring absentee voters to submit identification with absentee ballots. States that receive all (or the majority) of ballots through the mail or drop boxes have developed detailed procedures for verifying the identity of voters returning these ballots (usually through signature verification) and allowing voters to come in and “cure” their ballot if a discrepancy is discovered. States that are moving in this direction or that are seeing an increase in absentee ballots are taking a deeper look at their processes. The ballot measure that passed in Arkansas last year enshrining its voter ID requirement in the state constitution included a provision that absentee voters must enclose a copy of valid photographic identification with his or her ballot. Other absentee voting measures: changing the timing of when absentee ballots can be processed in order to more quickly produce results (South Carolina SB 141), permitting absentee ballots postmarked by the day of the election to be counted even if they were not received by the close of polls (Connecticut HB 5268) and prepaid postage (Washington SB 5063). Since 2010 the biggest topic in voter registration has been the expansion of online voter registration. Now that 38 states and the District of Columbia have enacted this option, we’ve seen a slowdown in legislation, although the year is yet young. The new hot topic is automatic voter registration, which has been enacted or implemented administratively in sixteen states now. The latest to join the club are Michigan and Nevada, where ballot measures were approved during the 2018 election. So far in 2019 bills have been introduced in Arkansas (HB 1004), Connecticut (SB 24), Georgia (HB 18), Indiana (SB 349), Minnesota (HB 45), Mississippi (HB 423), Missouri (HJR 5), South Carolina (HB 3041), Texas (HB 79, HB 140/SB 103) and Virginia (HB 2390, SB 1063). Same-day registration, which allows voters to register and vote in one stop at a polling location, has been around in some states since the 1970s and has seen a rise in recent years. There are nowseventeen states with same day or election day voter registration, and bills have been introduced in Indiana (SB 32, HB 1256), Kentucky (HB 7), South Carolina (HB 3040), Texas (SB 102) and Virginia (HB 1904). A bill in Connecticut (HB 5205) seeks to eliminate the option in that state. Now that Maine has taken the plunge and conducted its 2018 statewide election using ranked choice voting (RCV), interest in other states is on the rise. Although Maine was the first to enact and implement RCV on the state level, municipalities in several states have long conducted elections this way. States considering dipping their toes in the RCV waters are considering authorizing RCV for local jurisdictions. In 2018 the Utah legislature enacted a pilot project (HB 35) to allow municipalities to try out RCV in 2019 and reports are that five cities in the state are considering doing just that. So far in 2019 RCV legislation has been introduced in Connecticut (HB 5036) for primary elections, Indiana (SB 306) for municipal elections, Maryland (HB 26) for primary elections in Baltimore, Missouri (HB 27for state and federal offices and HB 28 for all local elections), New York (SB 796) for the city of New York, Virginia (HB 2097) for local and constitutional office (by choice of the local governing body), and Wyoming (SF 65) for all primary and general elections with at least two candidates. Audits have been a hot topic among election geeks lately, but does this translate to interest in legislatures? In 2018 the number of post-election audit bills introduced in legislatures nearly doubled when compared to previous years. It’s a good bet that 2019 will be similar. Bills to establish post-election audits have been introduced in Indiana (HB 1315), Missouri (HB 543, SB 113), South Carolina (SB 140, SB 202), and Texas (SB 277). Two other bills in Indiana (SB 405 and SB 570) would require risk-limiting audits. And, to conduct audits states need voting equipment that is able to produce an audit trail. Bills in Indiana (HB 1315, SB 570), Missouri (HB 543, SB 113), Mississippi (HB 28), New York (SB 308), South Carolina (HB 3304, HB 3043, HB 3302, SB 182, SB 183, SB 140), Texas (SB 277, HB 22) all deal with the phasing out of paperless voting machines or requiring a paper trail for new equipment, and in some cases include an appropriation. New Hampshire HB 345 would require new ballot counting equipment to be acquired at regular intervals, and bills in Texas (HB 362) and Wyoming (HB 21) would create grant funds to assist local governments with purchasing new voting equipment. In the year preceding a presidential election there are always bills that address the process. This is when states shift the dates of their primary elections to be relevant in choosing presidential candidates. It is also the time when states look at the presidential nominating process, so we expect to see legislation on the electoral college, joining or withdrawing from the National Popular Vote Compact, and putting penalties on faithless electors. After the 2016 presidential election another issue cropped up in state legislation – requiring presidential candidates to disclose income tax returns in order to appear on the ballot. Many bills were introduced in 2017 (with no enactments) and a new crop of bills have been introduced this year already (see California SB 27, Mississippi HB 24, New Hampshire HB 440 and HB 202). This is the year when we may also see some changes in primary types, whether a state’s primary is open to all voters or limited to political party members. To track bills throughout the year take a look at NCSL’s Election Legislation Database and (to steal a line from Doug Chapin) stay tuned! Be the first to comment on "Katy Owens Hubler’s NCSL State Election Legislation Outlook in ElectionlineWeekly"